Want to learn to play the harp? Learning the harp is very similar to learning the piano. Not difficult to learn even with no previous musical experience. Notes are written in both the treble and bass clefs; melodies and harmonies can be played with either hand. Learn in half-day sessions taught by ear and/or using print music. 1:15 pm to 3:50 pm. Levels: Beginner or “I’ve played harp a little”. 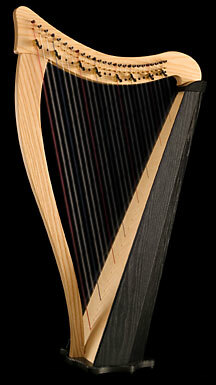 Bring your own harp or rental harps available: $30 per week.